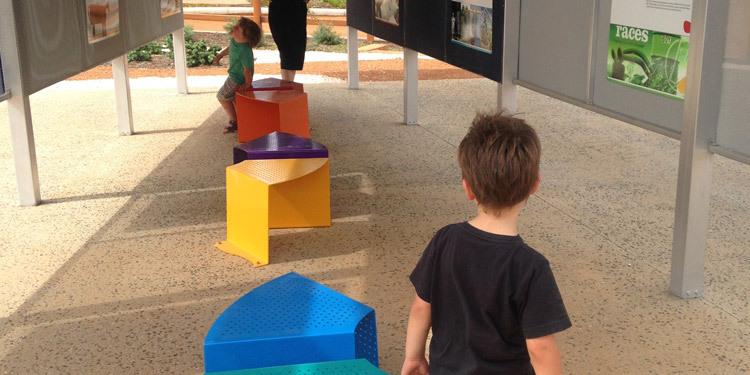 Ecoscape have designed the Kulin Visitor Discovery Zone visitors centre as a key stopping point for tourists moving through the Wheatbelt town of Kulin. 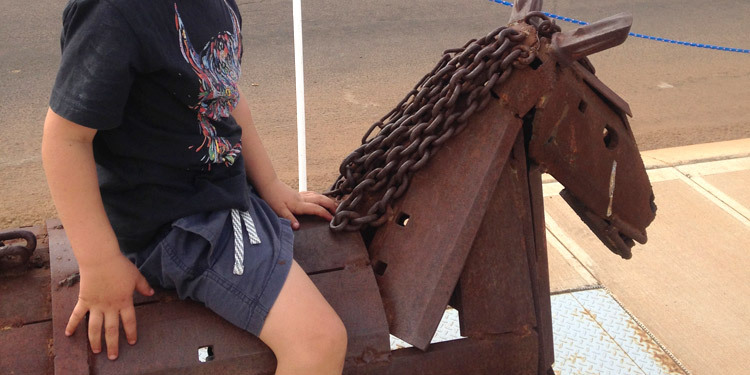 Kulin is a rural town with a close-knit community that is expanding the potential for tourism in the Wheatbelt. 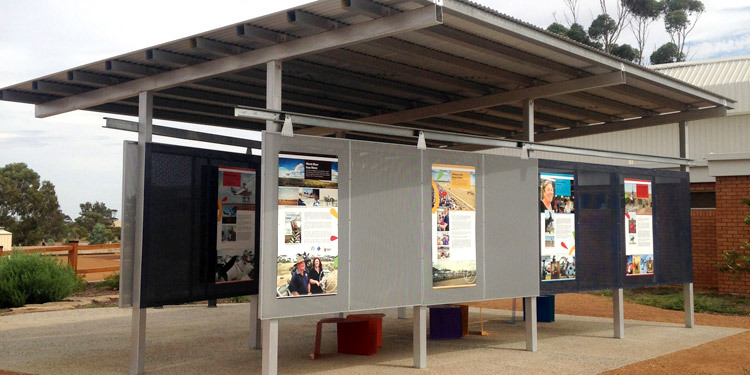 A visitor discovery zone will provide a welcoming park environment where tourists can find out about Kulin and the artwork celebrated along the Tin Horse Highway. The project will encourage tourists to visit Kulin enroute to Wave Rock bringing commercial activity to the town. 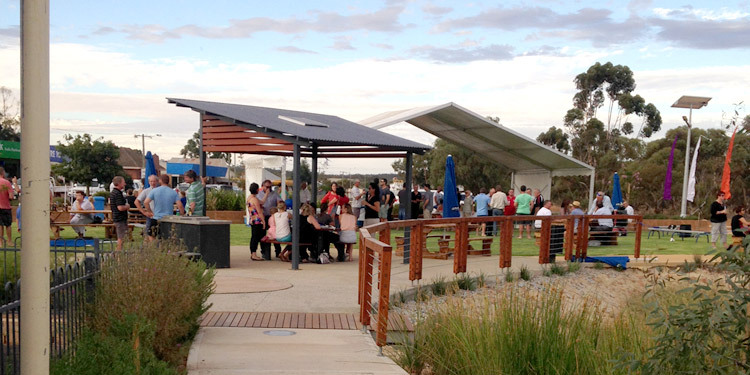 The site is a 2.5 hectare reserve located on Kulin’s main street that provides amenities for locals and visitors to the town. 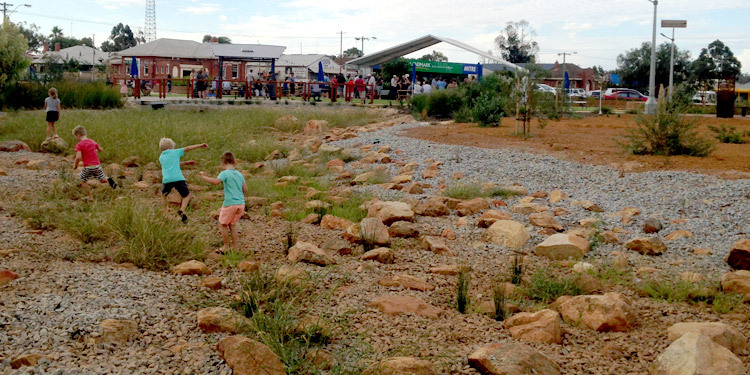 Ecoscape’s design aims to provide simple site planning initiatives imbued with the regional character of Kulin and the Eastern Wheatbelt. 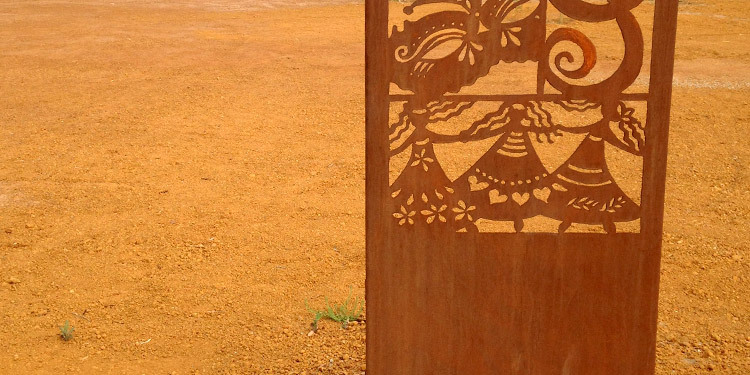 Promoting the quirky nature of the community artworks through interpretation and allowing involvement in the building of the park is also key to the project. 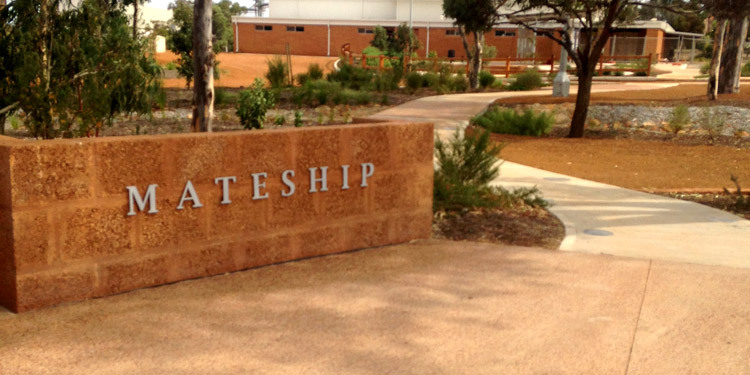 The landscape design seeks to link the surrounding town elements through the reserve and provide an inviting location for visitors to learn about Kulin and the Tin Horse Highway. Civic buildings including community resource centre, memorial hall and shire offices are located to the south and will be connected to the shops and recreation centre to the north by a strong pedestrian link within a parkland setting. 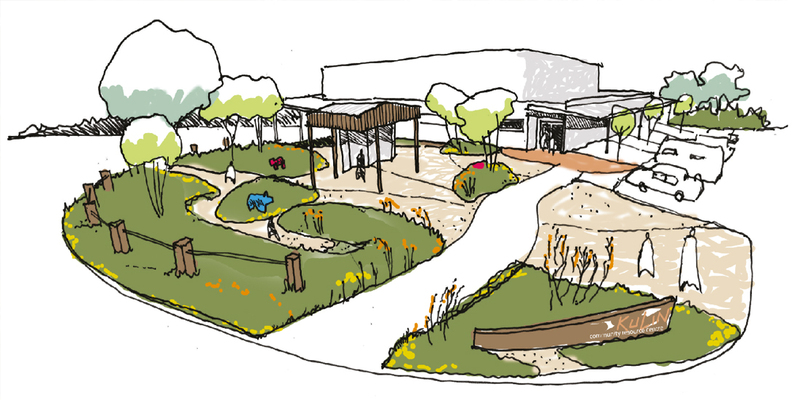 New elements in the zone will include a town centre park, memorial and Tin Horse Highway interpretation area. There will also be short stay parking for RV’s and upgrade to tourist amenities. 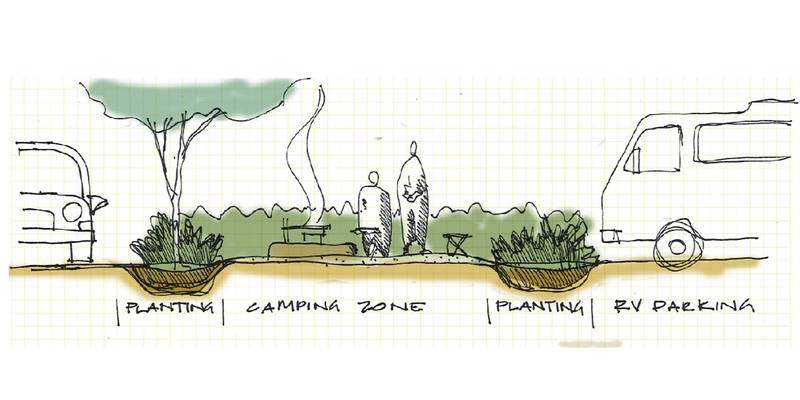 Proposed plantings for the reserve include shade trees, local species gardens and revegetation of the drainage channel passing through the park. 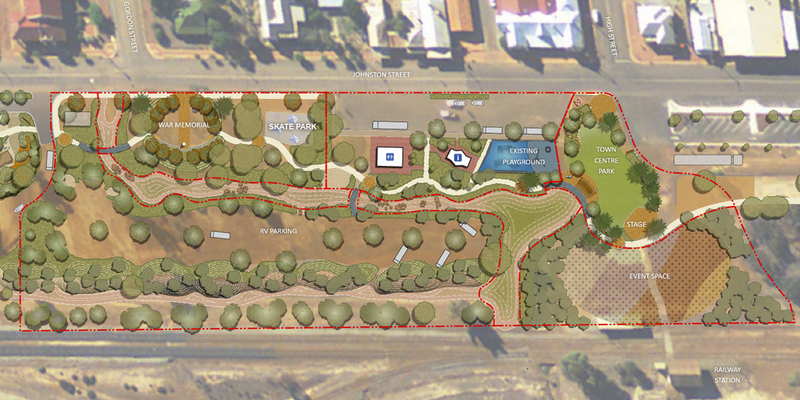 The first stages of the park will be developed in 2013 and will include the Tin Horse Highway Interpretation area, memorial and town centre park. 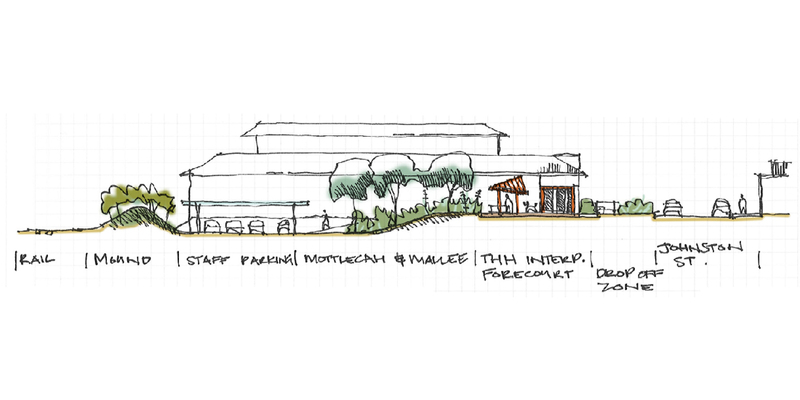 Subsequent stages and community initiatives will be built into the park as it grows.